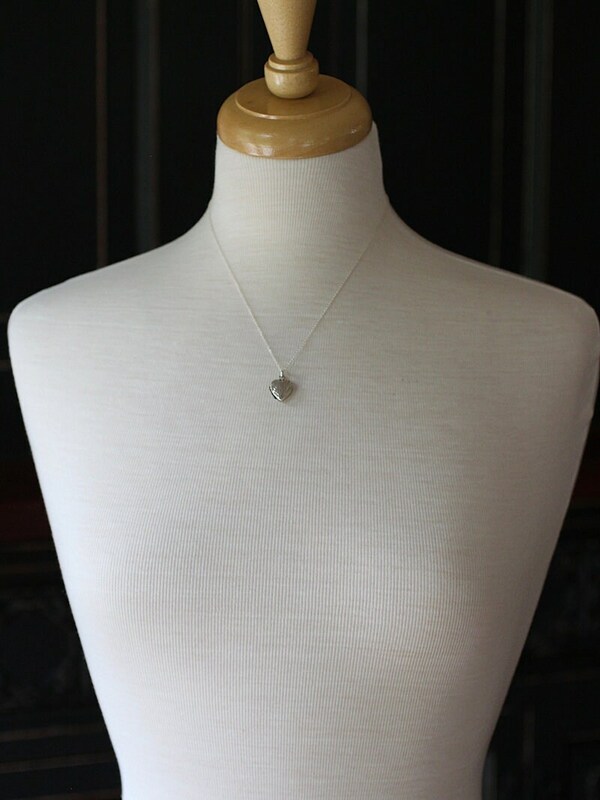 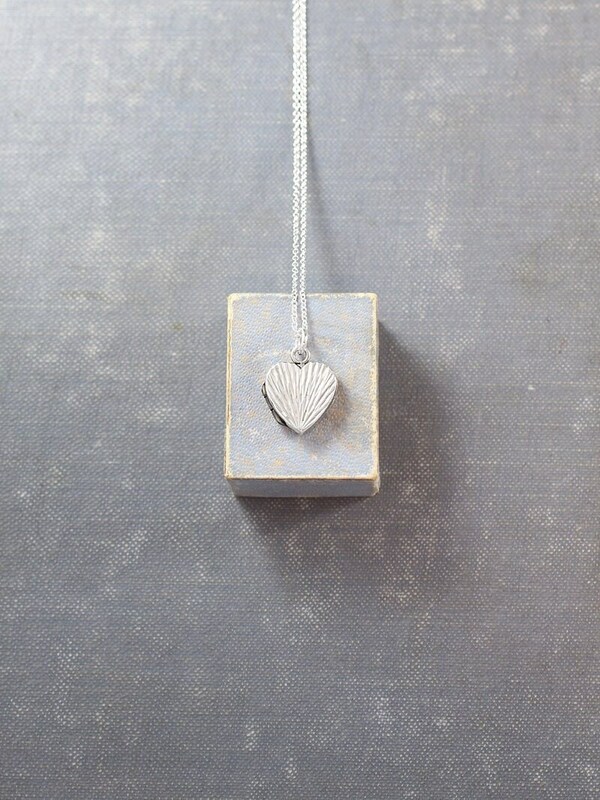 A rare vintage sterling silver heart locket features a unique sunrise inspired raised design. 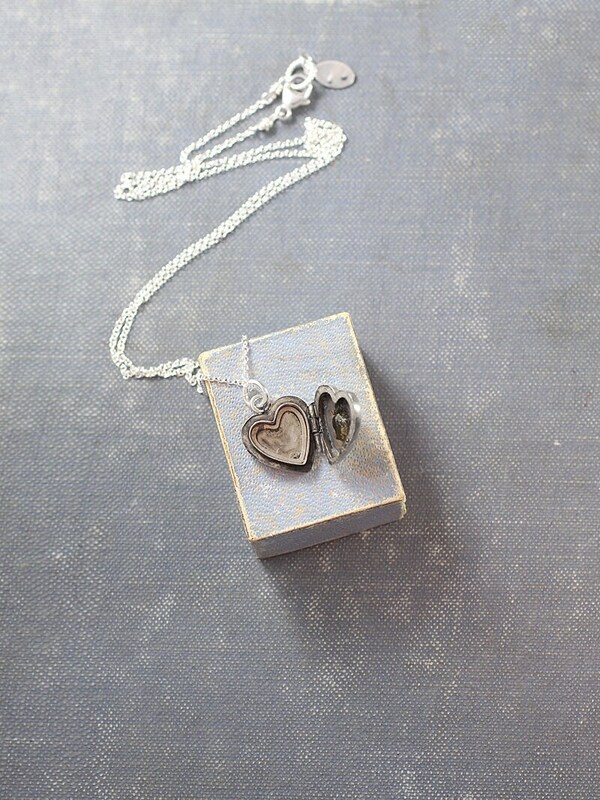 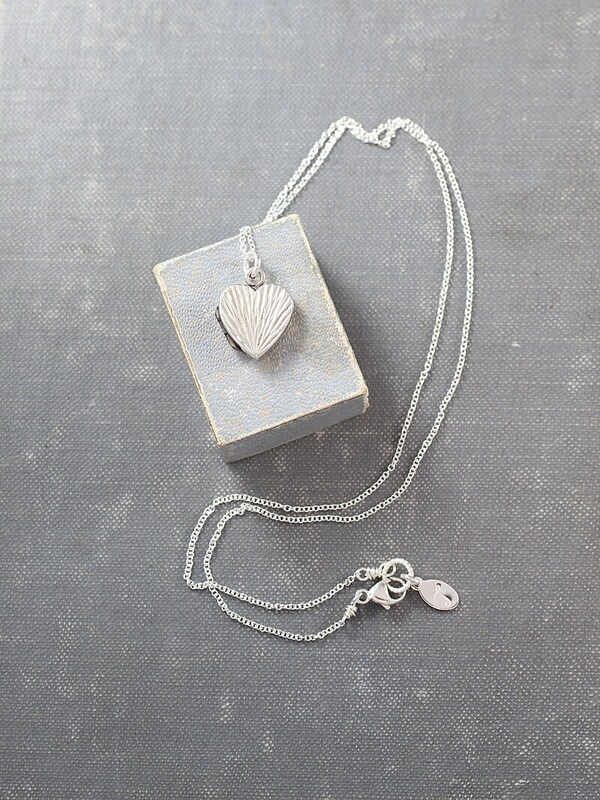 The tiny sterling silver heart locket opens to reveal two places ready to hold your beloved photographs. 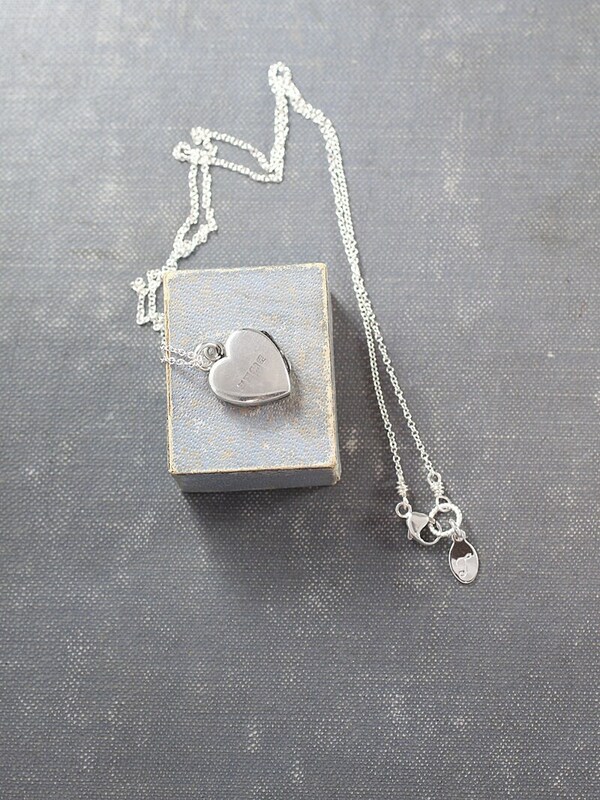 The locket dangles from a new chain of sterling silver hand finished with a trigger clasp of the same.